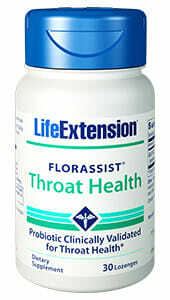 FlorAssist Throat lozenges provide healthy bacteria that naturally resides in the throat to protect against infections and relieve inflammation without the negative effects of antibiotics. Naturally flavored with mint and cherry. Florassist Throat Health is an oral probiotic that provides beneficial bacteria to colonize the throat and control harmful, unwanted bacteria.1-3 Infections and inflammation can occur in the throat when harmful bacteria is allowed to grow unhindered. Doctors often prescribe antibiotics to fight throat infections, but antibiotics effect the whole body and kill both good and bad bacterias completely. When the antibiotic treatment is finished the body is left with no bacteria, leaving room for the unhealthy strains to grow in excess all over again. These organisms survive naturally in the throat, they do not colonize other systems in the body. This maximizes their potential to promote throat health, all the healthy bacteria in the lozenges stay in the throat and begin to restore balance. 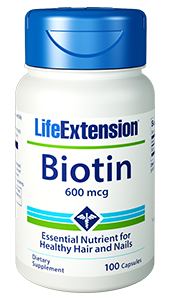 As the probiotic presence reduces the unfavorable organisms inflammation will reduce and the infection will subside. Other Ingredients: xylitol, mannitol, maltodextrin, microcrystalline cellulose, stearic acid, natural spearmint and cherry flavors, silica, croscarmellose sodium. BLIS K12® is the registered trademark of BLIS Technologies Limited. 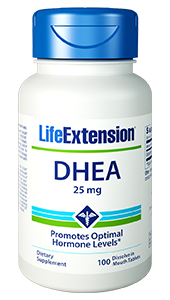 Dissolve one (1) lozenge in mouth daily, or as recommended by a healthcare practitioner. 1. Oral Microbiol Immunol. 2009 Apr;24(2):152-61. 2. Appl Environ Microbiol. 2006 Feb;72(2):1459-66. 3. Revista de Microbiologia. 1999;22(30):332-4. 4. Drug Health Patient Saf. 2014;6:15-20. 5. Microbiol Mol Biol Rev. 2015 Jun;79(2):171-91. 6. Di pierro F, Donato G, Fomia F, et al. Preliminary pediatric clinical evaluation of the oral probiotic Streptococcus salivarius K12 in preventing recurrent pharyngitis and/or tonsillitis caused by Streptococcus pyogenes and recurrent acute otitis media. Int J Gen Med. 2012;5:991-7. 7. Masdea L, Kulik EM, Hauser-gerspach I, Ramseier AM, Filippi A, Waltimo T. Antimicrobial activity of Streptococcus salivarius K12 on bacteria involved in oral malodour. Arch Oral Biol. 2012;57(8):1041-7. 8. Guglielmetti S, Taverniti V, Minuzzo M, et al. Oral bacteria as potential probiotics for the pharyngeal mucosa. Appl Environ Microbiol. 2010;76(12):3948-58.